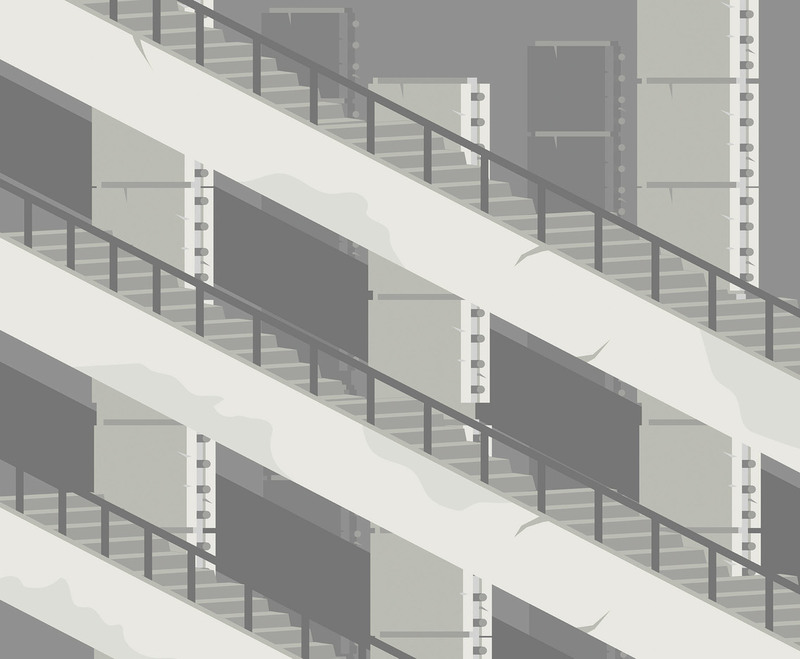 This illustration depicts several flights of concrete stairs. The illustration is designed in a flat style. I hope it's useful for your design projects.